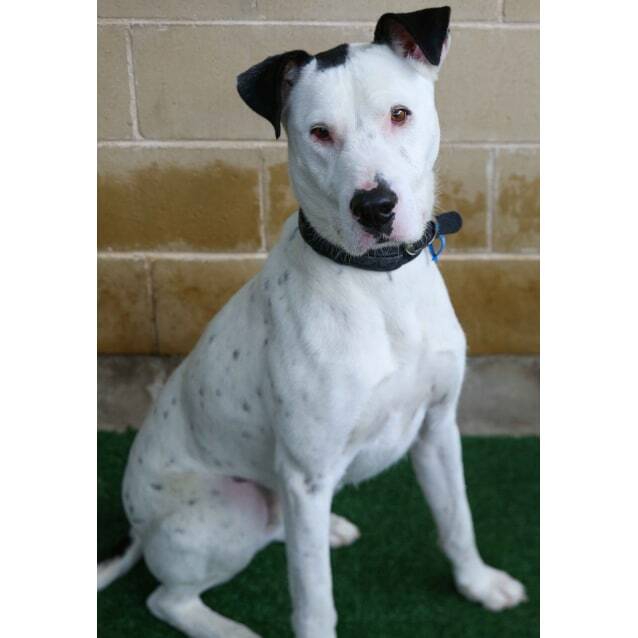 Contact RSPCA NSW at RSPCA Sydney Shelter (Yagoona) to express your interest. Another successful adoption - amazing work RSPCA Sydney Shelter (Yagoona)! More successful adoptions - amazing work RSPCA Sydney Shelter (Yagoona)! Hi there! My name is Fezzik. Yes, you're right..... I'm a big boy, but at least you know I wont grow any more seeing I'm already 4 years old. I still have a puppy's soul and love playing like one. I love squeaky and fluffy toys. They're my favorite....the fluffier the better. If you throw it, I will pick it up and run around with it in my mouth. Guess I look a bit silly but it'll make you laugh. When I first came to the shelter I was a bit shy....can you believe it? Eventually, I came out of my shell but because I'm a gentle giant, it would be great for my transition if you go slow with me when we first meet. But beware, it won't take long for me to fall asleep on your lap and ask for cuddles. Sorry if I squash you! Little kids can underestimate my size so, for this reason, I would prefer to go home with older kids. I wouldn't like to upset anyone.... not even other dogs....I looooove them! Whilst in shelter I met lots of dogs and it's soooo much fun playing with them. I would love to meet your four legged friend if you have one, so please bring them over so we can have a fun time together! I love my humans so so much and would be real happy to spend all my time with them. If I know you're at home I absolutely want to be with you but I do understand if you need to leave me by myself and really don't stress at all. But still leave me with lots of things to do in case I feel in the mood to get busy. Our animals are available for adoption at our Sydney Yagoona Shelter! Because they are so irresistible, we recommend heading into the shelter as soon as you can to ensure you don’t miss out! Our opening hours for adoptions are between 9.30am and 3:15pm, 7 days a week, and there is no appointment necessary. If you have any questions regarding any of our animals, before heading in, we recommend calling the shelter directly to ensure that they are the right pet for you. We appreciate your consideration to adopt and hope to see you soon!